Add to your existing Philips Hue Hub with this twin pack of official Philips Hue white LED bulbs. 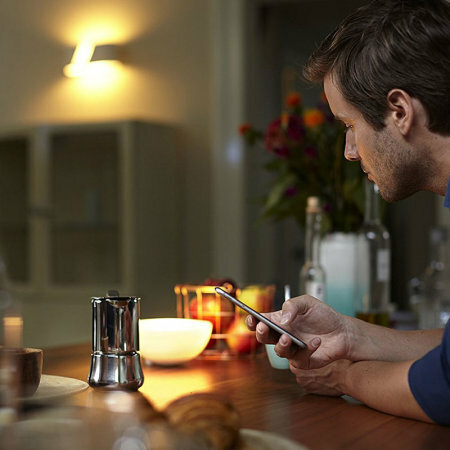 With B22 bayonet fitting, you can install the bulbs in lamps and other light fixtures to expand your wireless lighting experience. 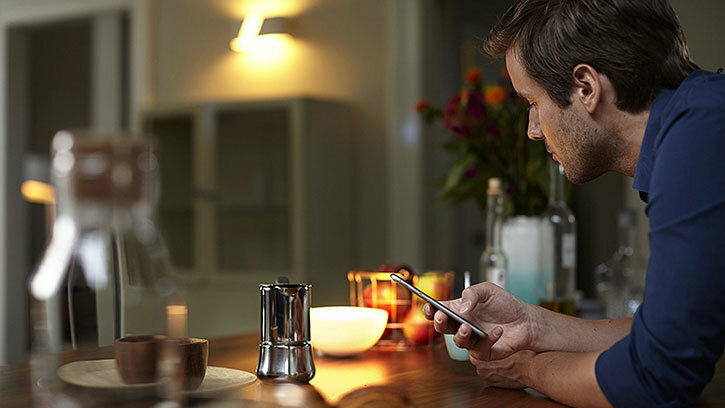 Expand your wireless controllable lighting collection with this twin pack of Official Philips Hue bulbs. 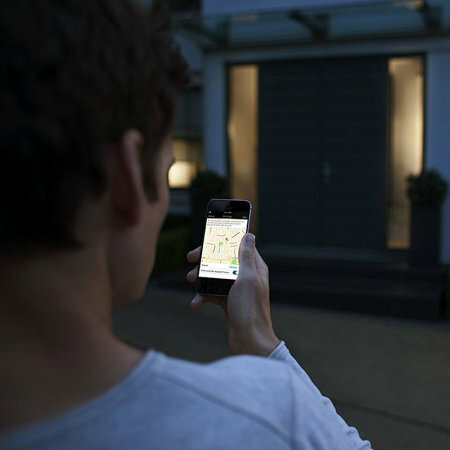 This value pack including 2x white bulbs with B22 bayonet fitting ensure you can attach to lamps, ceiling lights and other compatible light fittings for one of the best smart home solutions available. 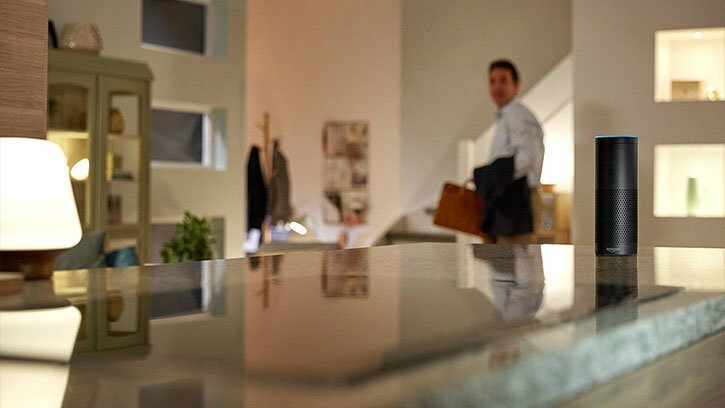 No need to wait for maximum brightness, as these high power Official Philips Hue white LED bulbs turn on instantly with their best light intensity at the ready. 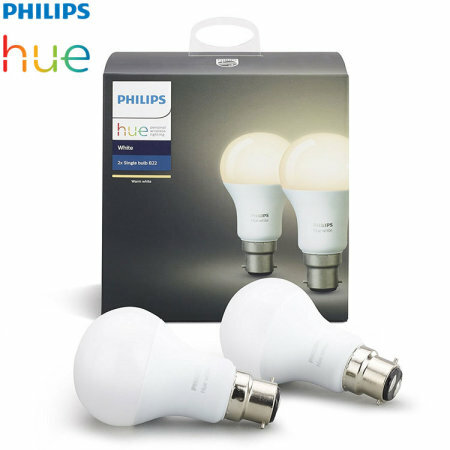 Rated at 2x 60W in traditional lighting terms, this twin pack of Official Philips Hue white bulbs can fill an entire room of light. 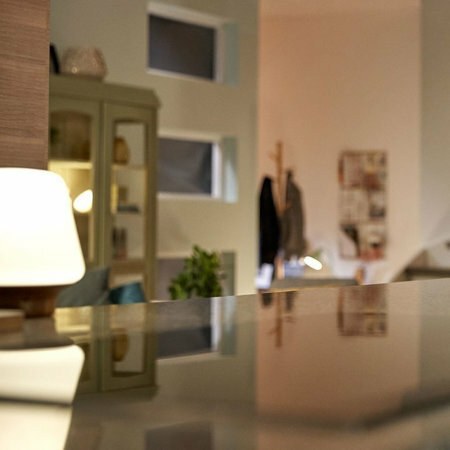 When paired with a Philips Hue Hub, you can control the amount of light, reducing to a low glow for a more soothing atmosphere, ramping up to maximum brightness to flood the room with a lovely bright light or anything in-between. 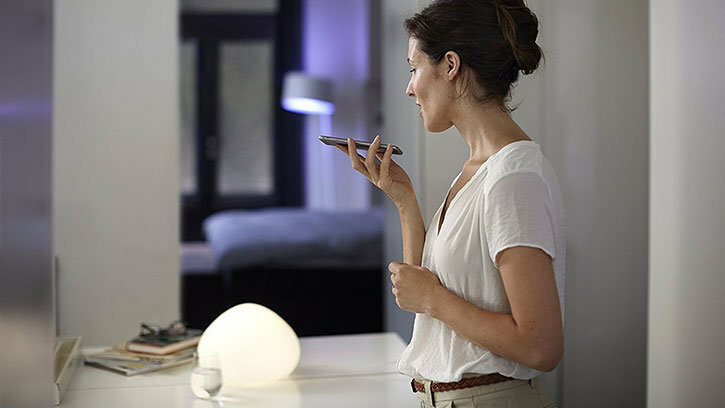 Compatible with voice activated services including Alexa and OK Google, as well as Apple's Homekit - you can enjoy a wide range of control over the lighting when paired with a Philips Hue Hub. 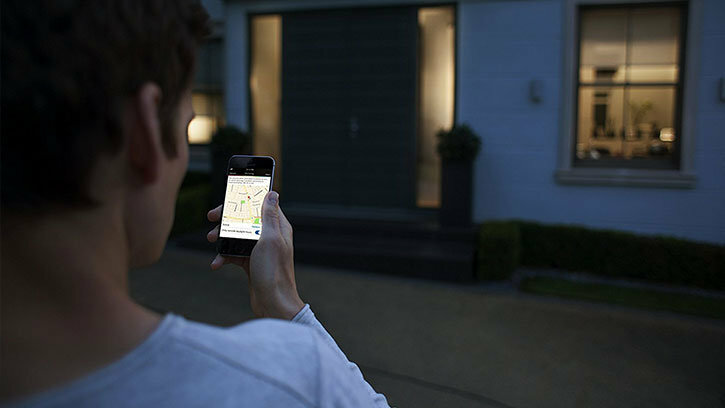 Use your voice or adjust the screen controls on the smartphone app to adjust the brightness or turn the lights on or off. 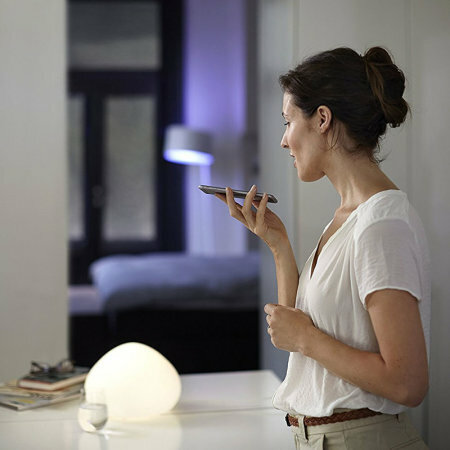 As this is an official Philips Hue lighting solution, you can be sure of perfect compatibility - making this the ideal Philips Hue companion to your lighting collection.